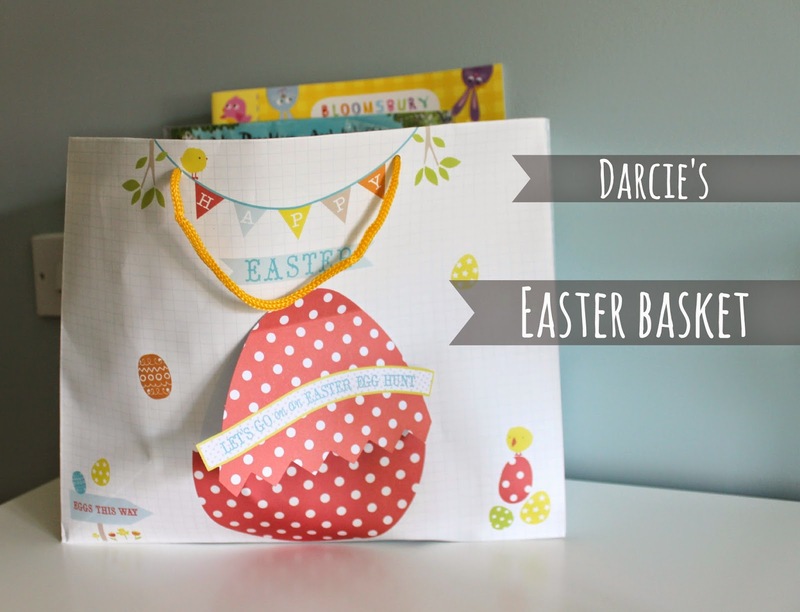 So I have finally got round to posting Darcie's Easter Basket! My main reason for delay was down to not being able to find a big enough basket... and well I still haven't found a suitable one! BUT I have managed find a really sweet gift bag that was big enough for her treats, the little egg on the front lifts to the gift tag section... so sweet! 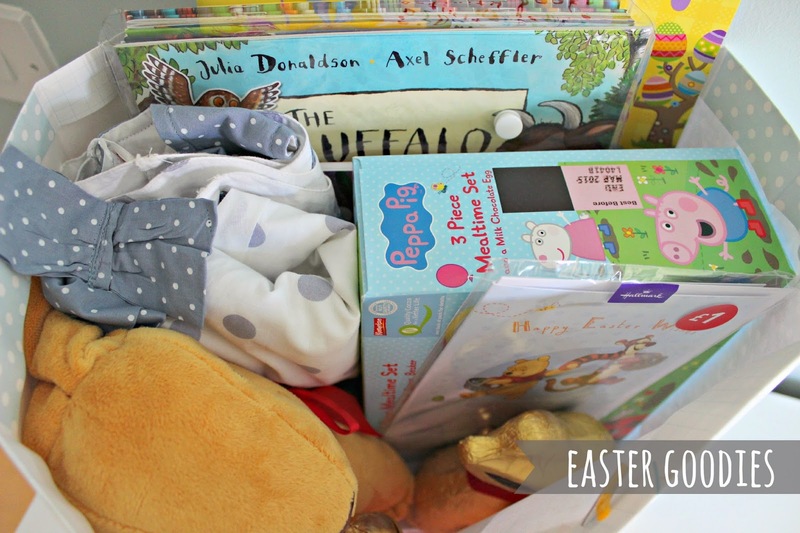 I haven't got Darcie lots of Easter eggs, I decided to get her activity books and I saved her personalised story book we were so kindly sent for this basket too. At work we often get a box from the Book People and I always like to have a rummage as they often have brilliant children's books at fantastic prices. 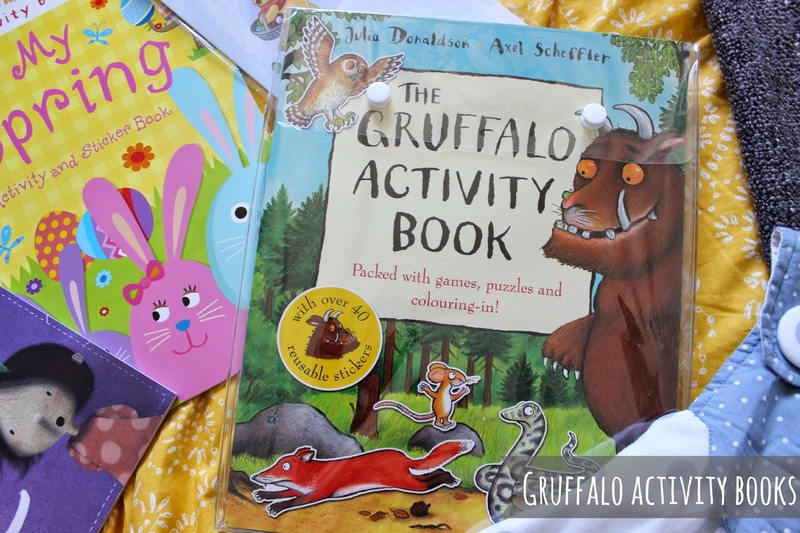 Low and behold I found the bumper pack of Gruffalo activity books, 10 in total all for £10 (rrp is £39.99!!). It was a bargain I just couldn't refuse! Darcie loves her sticker books and at her nursery they also ran a Graffalo week so its a character she is now quite familiar with. 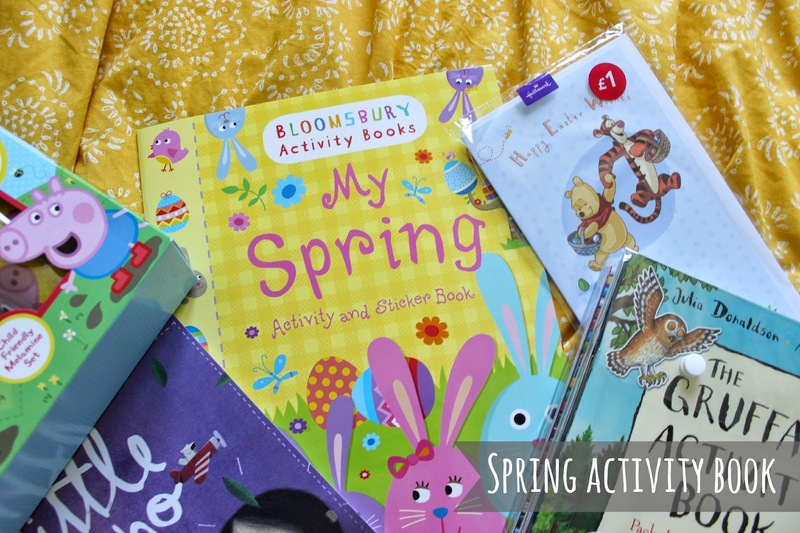 Keeping in with the activity book theme, we found this beautiful spring activity and sticker book. She is going to have so much fun with these books!! 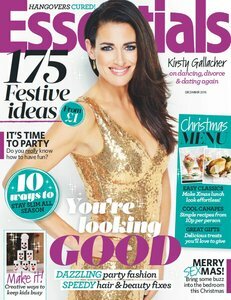 I know, I said I wasn't buying her Easter eggs but Jamie saw this and he couldn't resist! 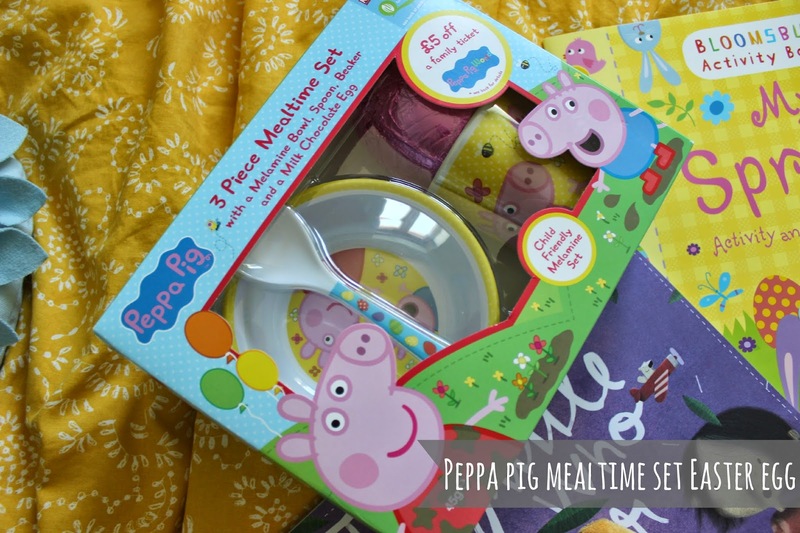 Its mainly a mealtime set anyway with a tiny egg... so not that naughty really! 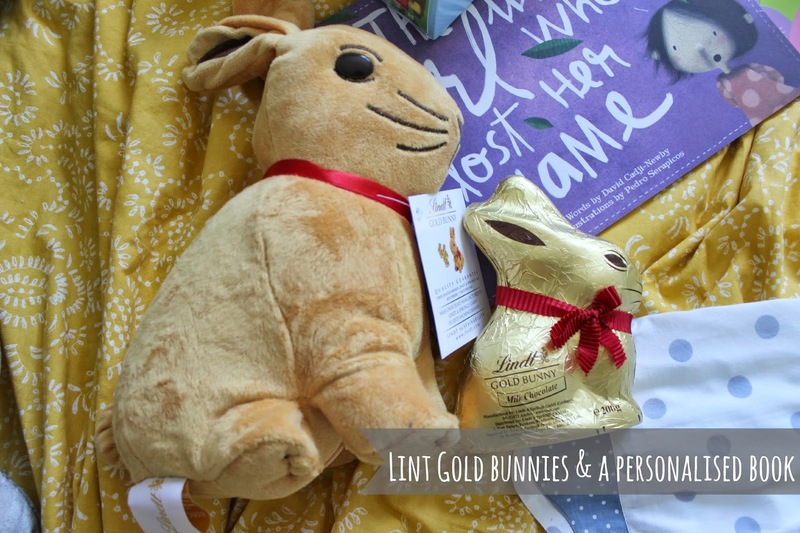 We were ever-so kindly sent a box full of Lint Goodies including this gorgeous Lint Gold bunny which I have added to her basket (along with a chocolate bunny too!) The rest of our goodies from Lint are going to be used on our Easter Egg (or rabbit!) hunt we are having on Sunday (so be sure to stay tuned!). 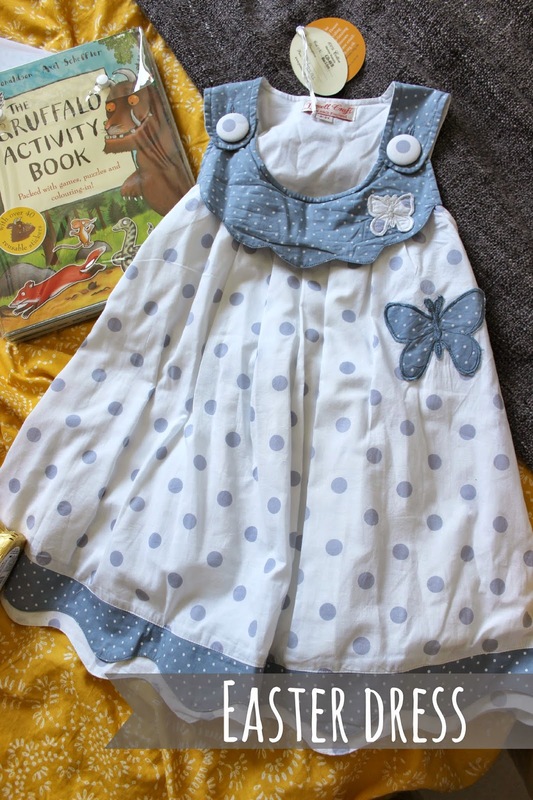 Lastly is this very gorgeous little dress which my Mum got Darcie when she took her to Wroxham Barns. Its so sweet and felt it was completely a spring dress so thought it would be the perfect outfit for Easter! 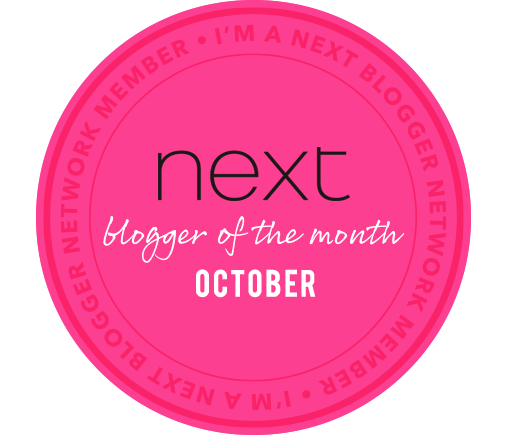 I hope you have enjoyed this post, its taken a little while to get up so my apologies!! 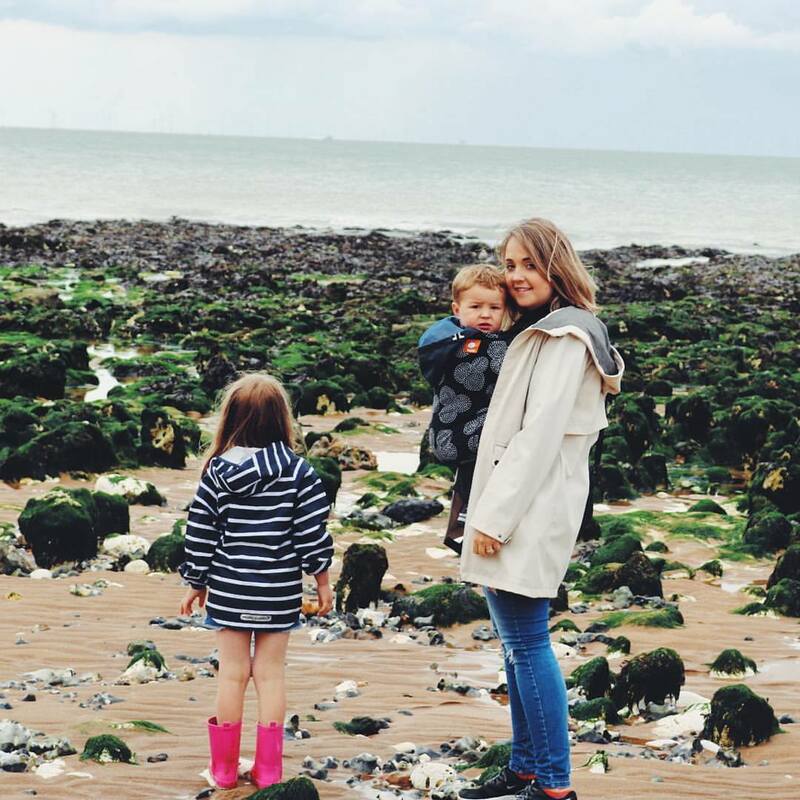 Hope you're having a fab week, me and Darcie are off to the Next Kids event tomorrow, so if you're attending too please do come and say hey!